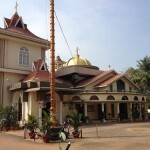 Sreyas Aramana, Mar Epiphanios Centre,Kannamcode, Adoor - 691 523. © 2019 Malankara Orthodox Directory. All Rights Reserved. Created by: ipsr solutions ltd.